After a long time of travelling around the globe, we decided to dedicate a house in Connewitz to the hospitality that we have experienced ourselves so many times during our journeys. We have called it “Homeplanet“, because we want all our guests to feel like home here. 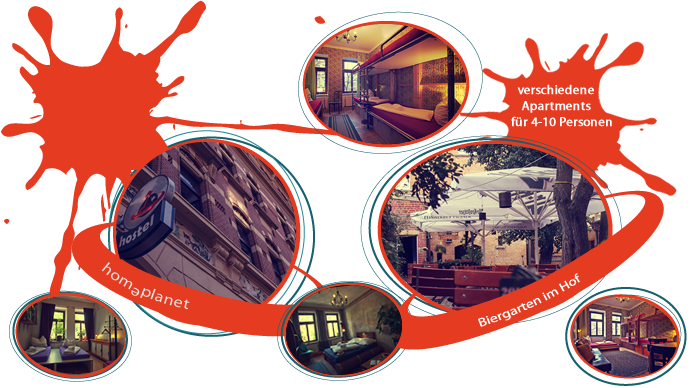 The hostel is situated in the heart of Connewitz - the well-known hotspot in the southern part of Leipzig – you can reach everything by foot, tram or bicycle. There are big lakes, a jungle-like forest, called “Auenwald”, that can be explored by canoe, a lot of arts, music and subculture with many locations that make Connewitz the coolest part of the city. In this area, you can find a lot of tasty vegan food and also the coziest beds for little money at the Homeplanet Hostel. We are looking forward to make you feel like at home at our place.